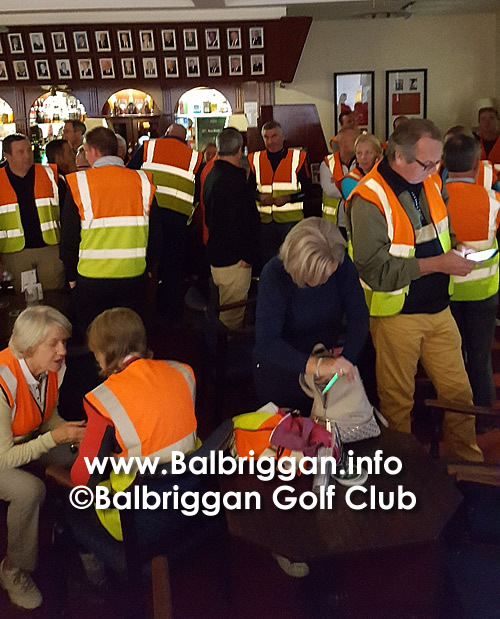 Balbriggan Golf Club held their first ever Night Golf Event on Friday 22nd September. 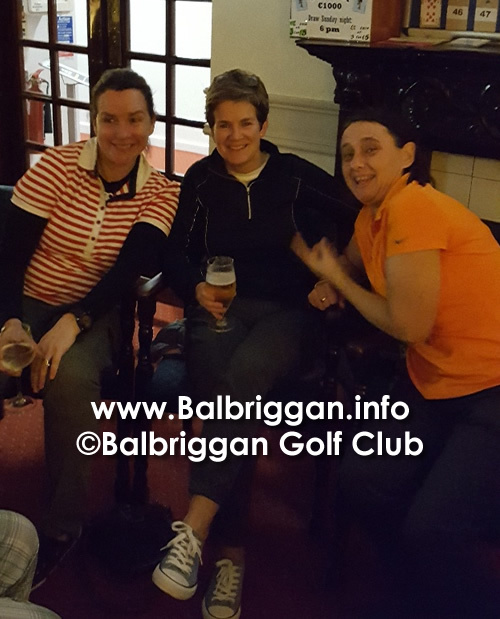 The event was organised by the Marketing Committee with a team from Xperiental. 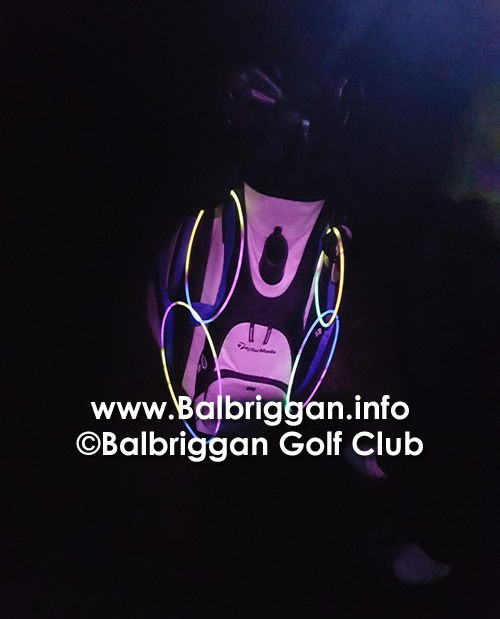 The fairways where lit up by florescent lights on Fairways, Tee Boxes & Greens. 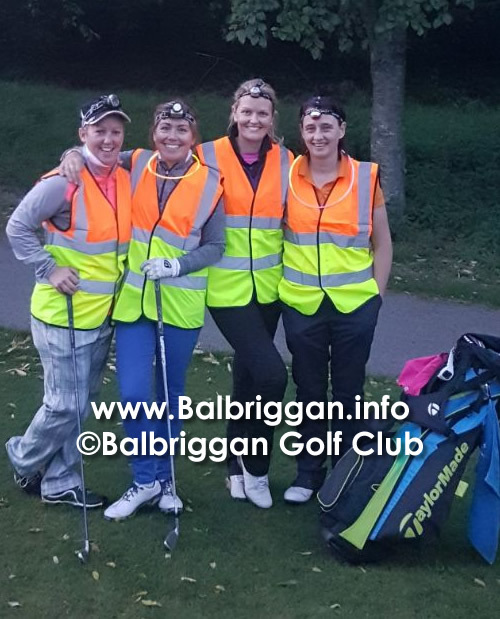 The Teams certainly got into the spirit of things with everyone wearing High Visibility Jackets, Hat torches & some even managed to light up Golf Bags. 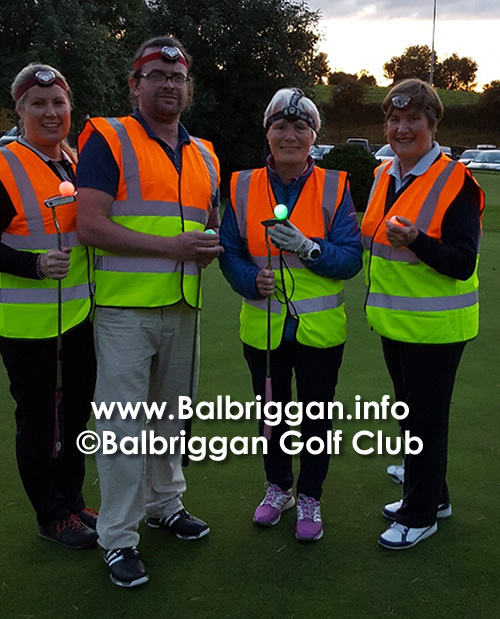 Each team of 4 players were given 6 luminous golf balls to play 9 holes Mexican Scramble. 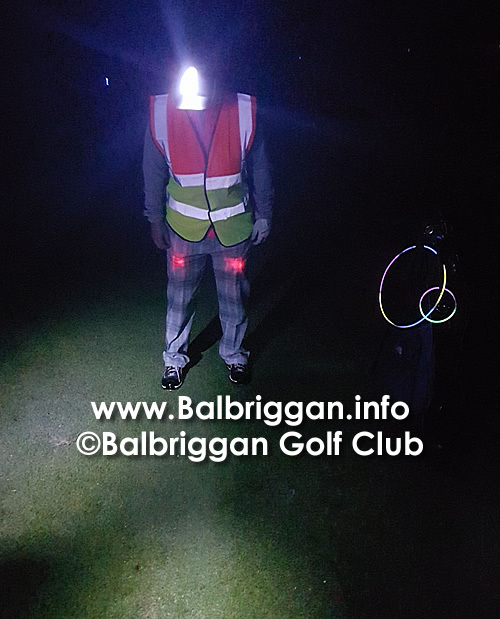 Some players mentioned that they actually played better golf in the dark!!. 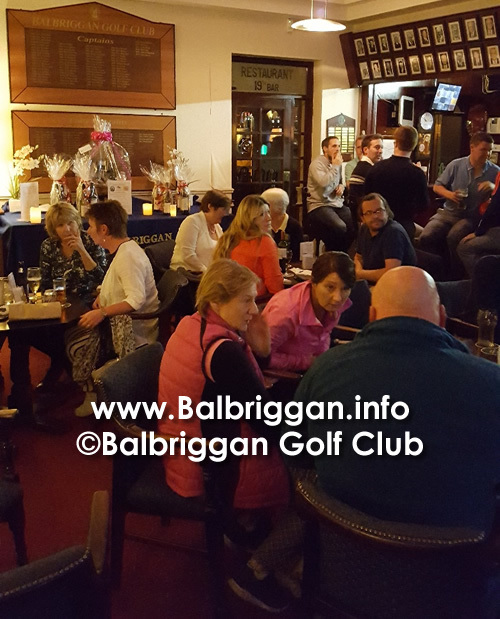 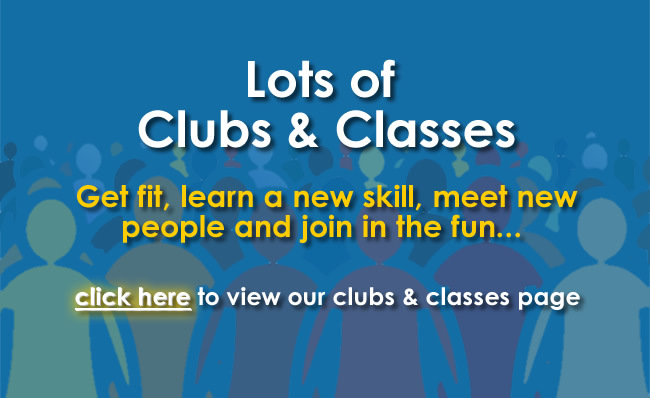 There was a fantastic atmosphere around the club & everyone seemed to enjoy the experience. 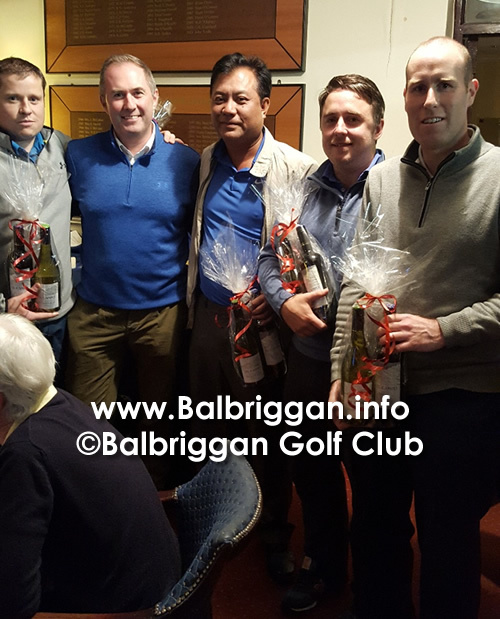 The winners with a magnificent score of 30.9 were Robert McGovern, Darren Smith,Mark Kearns & Dan Nguyen from Elmgreen GC. 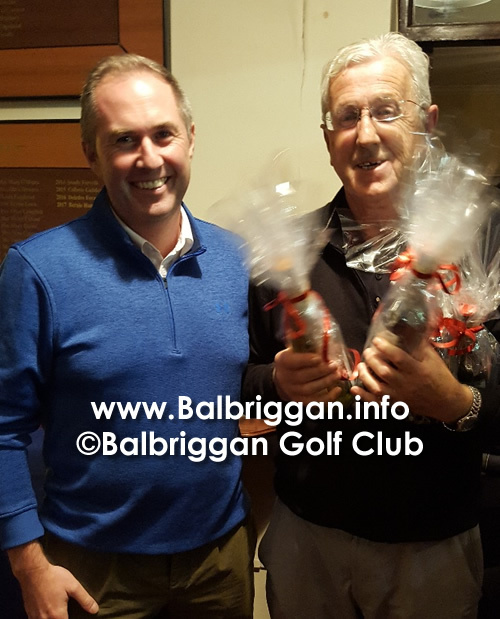 2nd were Dave, Colm & Rory Noone & Sean Mc Ciormack. 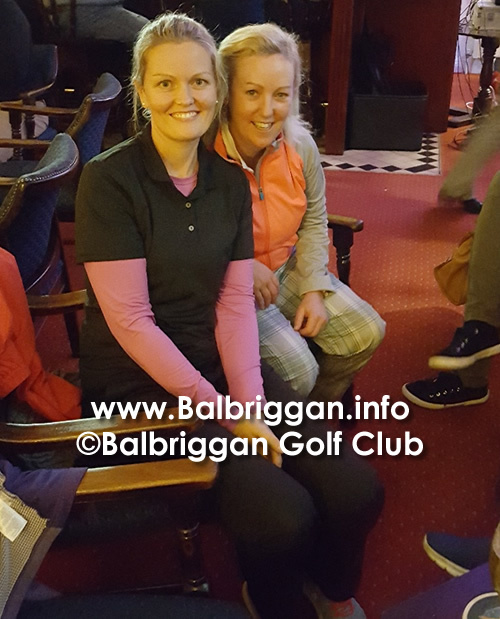 The Raffle for the Car Park Space was won by Maire Whyte. 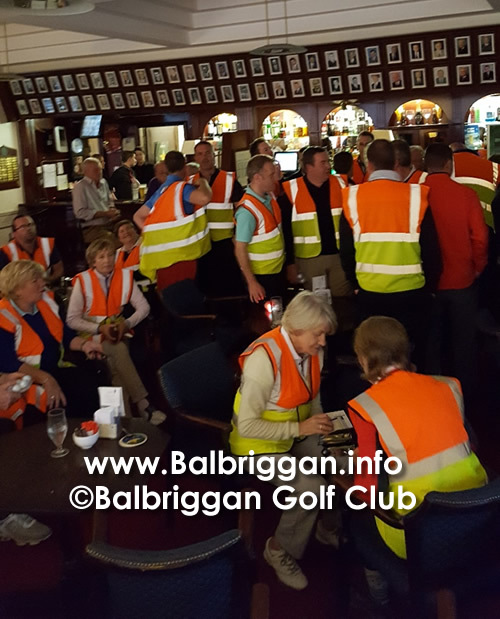 Congratulations to all the winners & thanks from the Marketing Committee to all those for participating.